Jean Donovan was born on April 10, 1953. She was the younger of two children and raised in an upper middle class family in Westport, Connecticut. Her father, Raymond, was an executive engineer, and later chief of design, at the nearby Sikorsky Aircraft Division of the United Technologies, a large defense contractor for the U.S. and manufacturer of helicopters used in the Vietnam War. Jean was very close to her brother Michael and was deeply affected when he was struck with Hodgkin’s disease, from which he made a complete recovery. The experience of the disease and his courageous battle to conquer it left a strong impression on Jean and, as she said later, gave her a deeper sense of the preciousness of life. 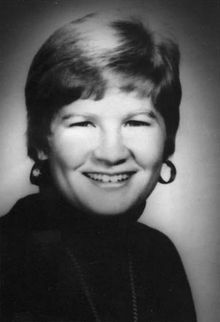 Jean received a Master’s degree in business administration from Case Western Reserve University, in Cleveland, Ohio. She became interested in mission and the social commitments of the church in Latin America through contact with Fr. Michael Crowley, a former missionary in Peru, while studying in Ireland. While there she began her discernment of her call to mission, to a more radical following of the example of Jesus of Nazareth. Upon graduation, she took a job as executive consultant for Arthur Andersen, a national accounting firm in Cleveland. She was on her way to a successful business career. While in Cleveland she began volunteering in the Cleveland Diocese Youth Ministry with the poor, she heard about the diocesan mission project in El Salvador. It was what she was looking for. Donovan quit her executive consulting job, said goodbye to friends, and joined the Diocese Mission Team in El Salvador. Jean attributed her decision to “a gut feeling,” and said “I want to get closer to Him, and that’s the only way I think I can.” The diocese sent her to Maryknoll Lay Missioners for her formation and from there she was sent to El Salvador. In November, while riding her motor bike, Donovan noticed a U.S. military helicopter following her. The U.S. ambassador denied that U.S. helicopters were in El Salvador, but much to his chagrin, Donovan knew the name and model because her father spent his life helping to build them. Two weeks before she was murdered, with the bloodbath already begun, she wrote to a friend in Connecticut: “Several times I have decided to leave El Salvador. I almost could except for the children, the poor bruised victims of this insanity. Who would care for them? Whose heart would be so staunch as to favor the reasonable thing in a sea of their tears and helplessness? Not mine, dear friend, not mine.” For the family of Jean Donovan, her death was an indescribable blow. When she had first told them she was going to El Salvador, they had to pull out a map to find out where it was. Now they had lost their only daughter in this tiny country that had become a major focus of U.S. foreign policy. On December 2, 1980, Jean accompanied Ursuline Sister Dorothy Kazel to the airport in San Salvador, El Salvador, to pick up two Maryknoll Sisters, Ita Ford and Maura Clarke, flying in from Nicaragua. As the four women left the airport, they were taken by soldiers, abused, killed and buried in shallow graves in a rural area about 15 miles away from the airport. Two days later their bodies were discovered. Donovan’s face was completely destroyed. She was 27 years old. These brutal murders of four missioner women martyrs shocked the world.